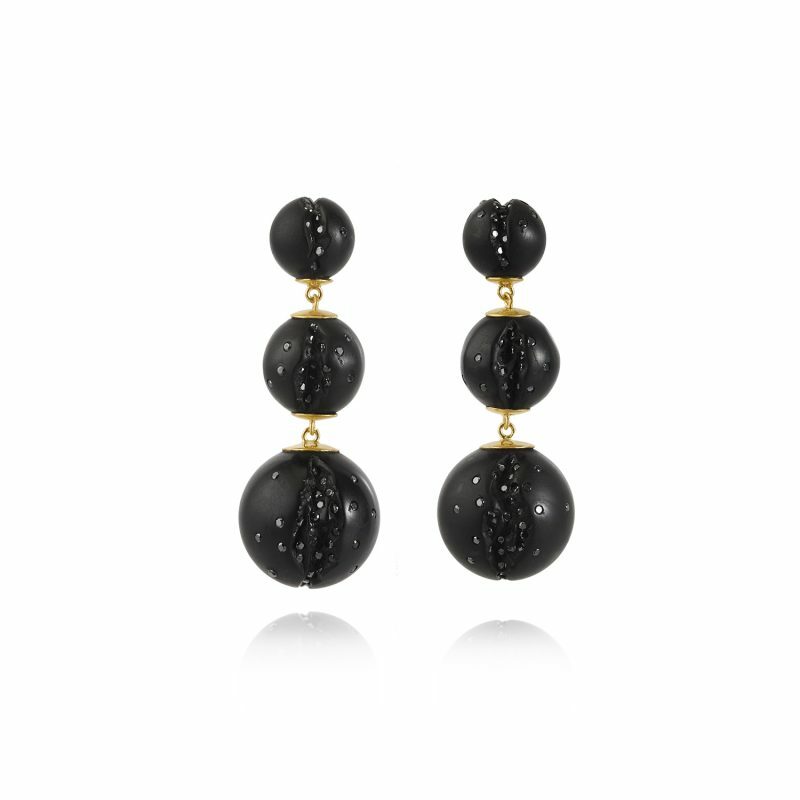 The Atomic Mini Multi Cascade Earrings are a set of hand carved mini multiple spherical drop earrings in Whitby jet with black diamonds and 18ct yellow gold. Part of the Atomic collection by Jacqueline Cullen, which embellishes pure spherical shapes with tiny twinkling black diamonds that burst and flow out of hand carved crevices. Jacqueline Cullen’s fascination with the aesthetic nature of Whitby Jet, has inspired her to create one of the most uniquely beautiful Contemporary Jewellery collections we have seen. With her highly developed processes using inlaid black and champagne diamonds with 18kt gold granulations, Jacqueline transforms this raw material, into luxurious jewellery pieces and modern heirlooms of our time.